If there's one thing to comfort us, it's that there is another way. We don't have to exist like the oppressed cogs in the machine, and back in the 90s a group of people threw caution to the wind and chose a different existence. They chose free-living, non-stop partying, communal projects and converting buses over an administrative existence with 2.4 children in the nest; proof that an alternative life is one active decision away from reality. 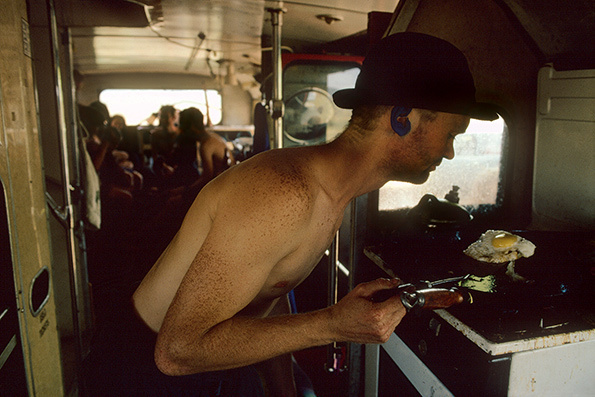 Tom Hunter, Professor in Photography Research at the London College of Communication, was one of those travellers and has decided to host an exhibition of photos taken during that time. 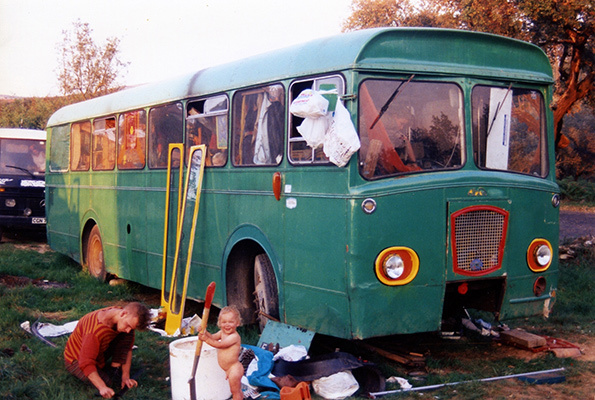 He eventually met Dave Fawcett and found pictures of his own bus in Dave's collection of photography from the days of raves and road trips. Life on the Road is on show at LCC from 6 – 26 February and Tom returns with his second show (his first as a student and now as professor).